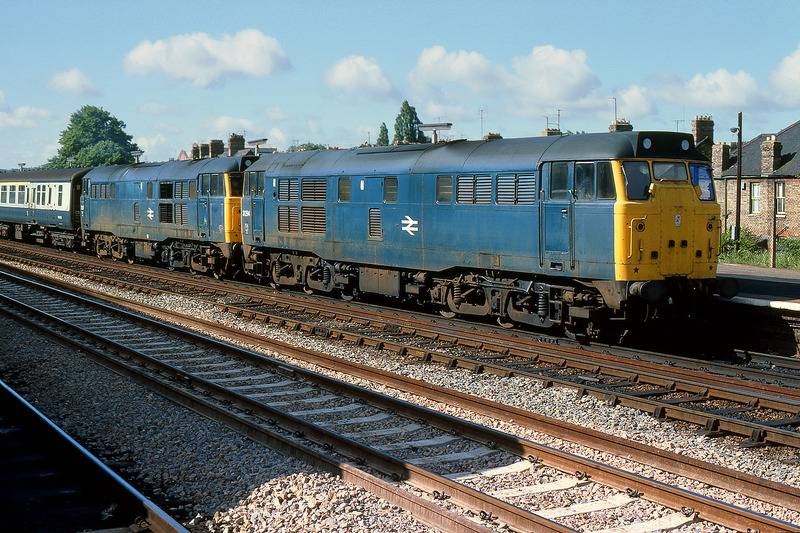 I have a few pictures of Class 31s on the Cotswold Line, but not of a double headed passenger train. However, if I had been in a different place on 5 July 1980, I could have got one. Instead, I was at Oxford station when most unexpectedly 31294 & 31231 rolled in with the 1B30 08:00 Paddington to Worcester Shrub Hill service. Unfortunately the sun was behind a cloud as it entered the station, so I had to make do with the close up view as it waits at the end of platform 2.